August 5, 2017 7:00 p.m. In Summer, the opening bars present the “merciless summer sun” and sweltering “man and flock.” In the first solo, the violin is an ornamented cuckoo – it’s the soloist’s task to make the cuckoo’s notes distinct in a barrage of 16th-notes. The second solo depicts the turtledove and goldfinch, and rustling of the gentle zephyr breeze, which is joined by the violent north wind. The wind subsides long enough to let us hear how it makes a shepherd fear a coming storm, his agitated state depicted in a sequence of chromatically descending diminished chords – dissonances that lead to other dissonances instead of resolving. The second movement depicts the gentle, buzzing insects, and the shepherd listening with apprehension to distant thunder. The third movement brings the long-awaited storm. August 7, 2017 7:00 p.m.
Beethoven had a great love of nature and was particularly happy and inspired when in the forest or under the stars. The presence of God for him was reinforced by the beauty of nature. 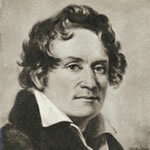 This tender side – bucolic, romantic, and gentle – contrasts with the well-known characteristics of extreme dynamic tension and emotional aura in much of Beethoven’s music, but it is indeed found throughout his oeuvre and is an important element in understanding the composer’s complex personality. In an attempt to define Beethoven’s genius, Leonard Bernstein maintained that the composer had an ‘inexplicable ability to know what the next note had to be.’ Certainly, in listening to any of Beethoven’s works, one is aware that the composer is very conscious of what he is doing. Moreover, there is an incredible combination of sureness of musical direction and complete submission to the higher powers. 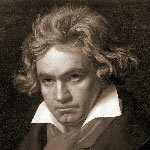 Beethoven’s music is, without doubt, miraculous and godly. 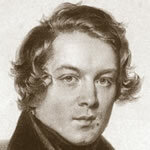 Therefore, it is not possible to imitate his music; it is always distinctive, uncontested, and in its own class. The themes of the first movement come from the dance rhythms of the Basque country of southern France, Ravel’s homeland. They had originally been intended for a fantasy for piano and orchestra on Basque themes, Zaspiak-Bat, which Ravel had planned in 1912 but subsequently abandoned. 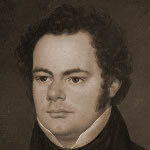 The music has a stately character, with the violin given especially prominent treatment. The movement fades languidly away, leaving behind a mere memory of the first theme and its rhythm. The fluid movements of the music are often compared to the landscape of the Basque region. August 9, 2017 7:00 p.m. In this sensual program, we explore the influence of flowering blooms on the psyche and melodies of German and French art song. August 11, 2017 7:00 p.m. In the set of variations by Beethoven, the original text is quite similar to Mozart’s Papageno declaring his position as birdcatcher. Again, displaying the influence of birdsong on great music. August 13, 2017 3:00 p.m. The script of Appalachian Spring supplied initially by Martha Graham, tells of a young pioneer couple in 19th century Pennsylvania. They raise a house, hear a sermon, attend a party and spend a few quiet moments alone in hopeful anticipation of a long life together. It is heartwarming, essential Americana and Copland’s authentically evocative music could not be more perfectly suited to the imagery. 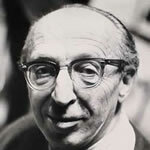 Interestingly, Copland composed the music without first knowing the title of the ballet, which was also chosen by Graham and taken from the poem “The Dance” by Hart Crane. The references to “Spring” actually regard a water spring, bringing to mind ancient thoughts of the spiritual and healing properties of water. The “Sea-Nocturne” is a final elaboration of the sea theme, a kind of cumulative variation that features antique cymbals. Crumb hoped to suggest “a larger rhythm of nature” and a certain transcendence of chronological time; the eternal present is captured in music by a repeated 10- note figure that gradually escapes our hearing, yet still continues on, bringing our examination of music, nature, vibration, and creation to a dramatic finish. All concerts are followed by “Meet the Artists” receptions. August 8 2017 6:00 p.m.
A fun exploration of the many animals, especially birds, that dwell in our local forests, beaches, and marshlands. Music about birds, seasonal animals, dancing, and a “make & take” art project are part of the fun! August 10, 2017 6:00 p.m.
We explore the local fauna through music and song. Included are excerpts from exciting pieces of music and song about flowers, trees, and more. More dancing and another “make & take” art project are included! Our annual performance by area student instrumentalists, plus the Michigan City Children’s Choir.